Infinity Farm will be providing activities at this upcoming event on Sunday 28th October from 3-5pm at Navigation House, 148 Hillsborough Road, Lisburn. part of the Purple Turnip Festival. 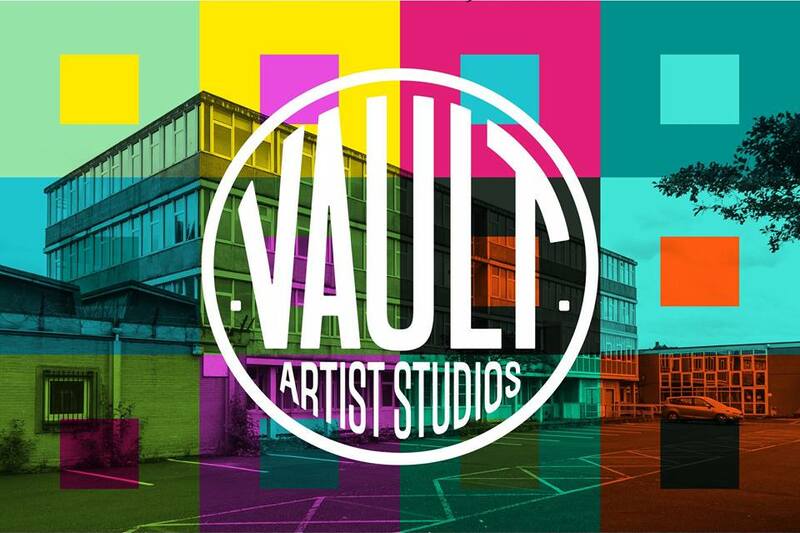 Vault Artist Studios are taking over the old college building on Tower Street and we are opening our doors to welcome you inside, meet our artists, and see how creative sparks fly. This is a new beginning for the Belfast Bankers. We took over a disused Ulster Bank in 2017 and grew into a tight knit community of painters, sculptors, photographers, urban beekeepers, musicians, street artists, puppet makers and performers. We are now bringing our energy and creativity to breathe life into another disused building in east Belfast as a registered charity that provides affordable studio space to professional artists and hosts arts events for the local community to enjoy. Festival dates, 10th and 11th August 2018. 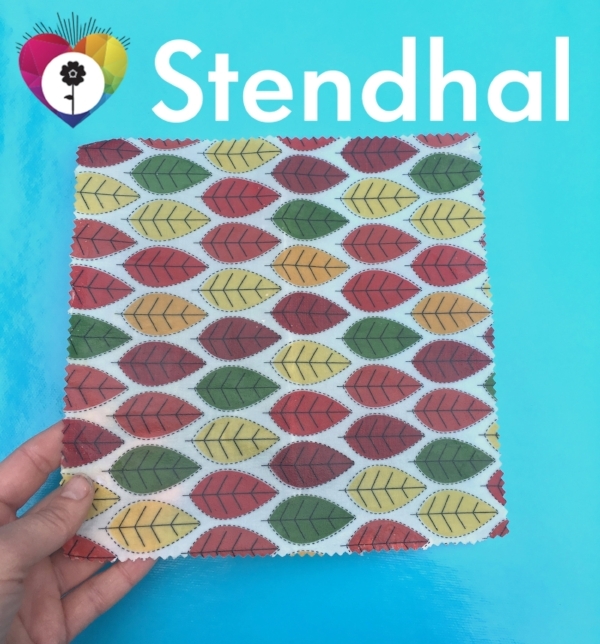 The Stendhal Festival mission is all about creativity and sustainability and we are delighted to offer festival goers the chance to make their own environmentally friendly beeswax wrap, perfect for festival snacks! 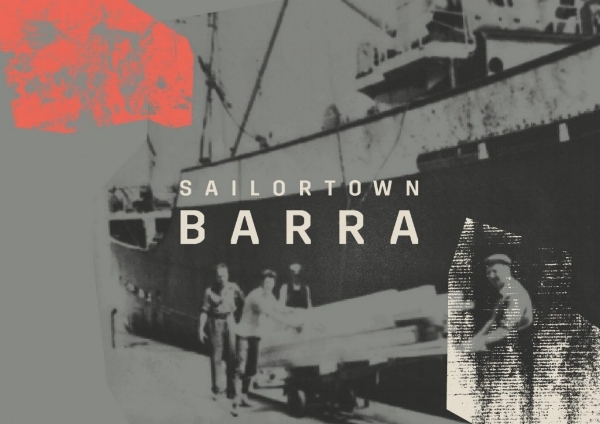 Staged by local residents and friends of Sailortown the market will take place across the historic area between Barrow Square and the reopened St Joseph’s Church. Come along and explore stalls, watch film screenings and performances, join in children’s activities, celebrate Belfast’s Little Italy, and lots more. Stall holders include Save Cathedral Quarter, Infinity Farm, SHIP, Sailortown Regeneration Group, The Sailortown Crew, and more. 🐝Make Beeswax Wrap with Infinity Farm: Drop in to have a go between 2pm - 4pm. 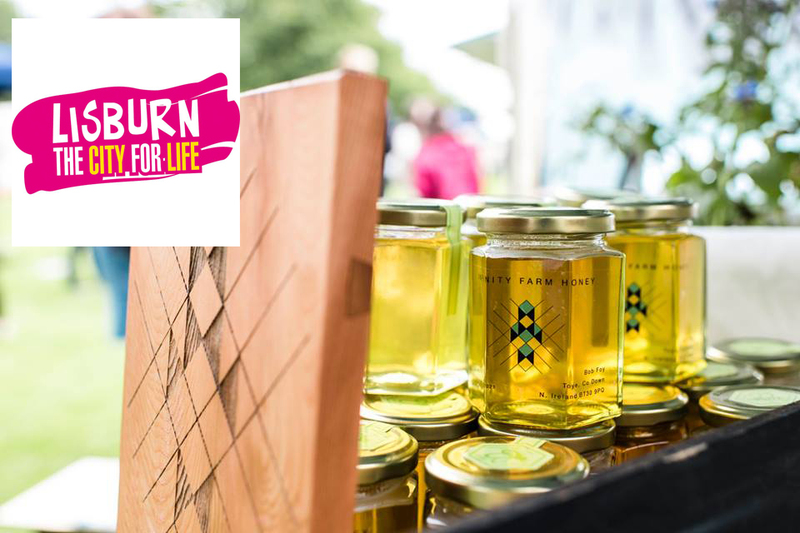 We have moved the urban apiary consisting of two hives of bees to a fantastic new location on the rooftop of the Skainos Centre on the Newtownards Road in East Belfast. As you can see from the picture above the move took place on a cold day, the temperature was around -2 degrees Celsius, at this temperature the bees will have formed a ball around the queen and will be working hard to keep warm therefore reducing the risk of bees emerging in transit. Branches are placed at the entrance so that when the bees do emerge to go foraging they will immediately realise that they are in a different location and have a chance to reorientate themselves. 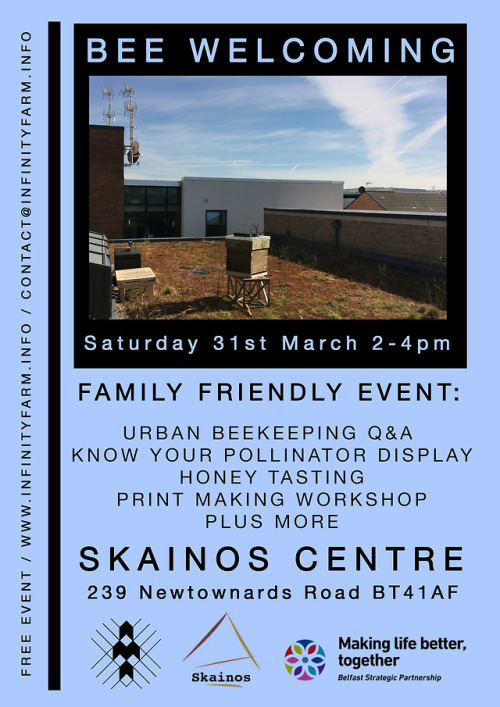 Date for your diary Saturday 31st March 2018 at 2pm we will have a Bee Welcome event on the Skainos Centre roof terrace. From here you can see the bee hives behind the comfort of a perspex screen. We will also be offering all kinds of creative activities such as honey tasting and art making, suitable for children and adults. This event is free and supported by the Belfast Festival of Learning.